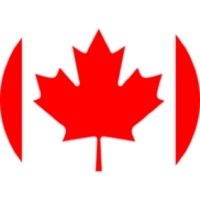 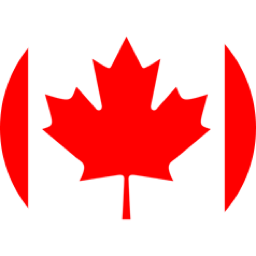 This is The Haiku Foundation page for haiku in Canada. 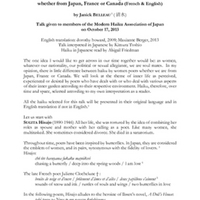 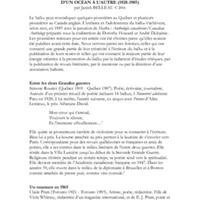 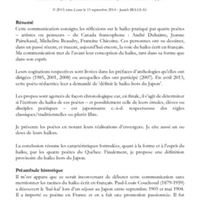 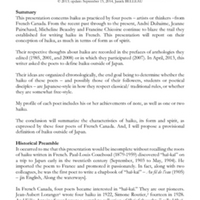 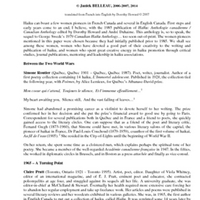 Click the PDF links above to see a history of haiku in Canada in English; a history of haiku in Canada in French; and a collection of haiku from Canada in both English and French. 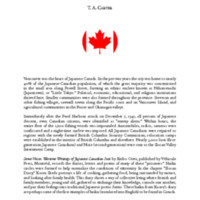 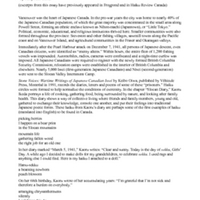 Carter, Terry Ann and Belleau, Jannick, “A History of Canadian Haiku,” The Haiku Foundation Digital Library, accessed April 19, 2019, http://www.thehaikufoundation.org/omeka/items/show/1380.